Vacation is one of the most delightful parts of life. Most people plan way ahead and love imagining all the lovely spots they’ll get to see when they get there. In fact, most people try to plan much of their trips highlights well in advance to ensure there is no difficulty in getting to enjoy their most treasured experiences. The world has so many fascinating places to see and experience. This certainly leaves no shortage of exciting choices of places to go when planning for holidays or vacations. One of the most popular and exciting of these choices is taking a lovely trip to London. London is well known as one of the most exciting cities in the world. With a rich culture, excellent entertainment venues, exquisite dining, and a fascinating history, London has so much to offer travelers. There is so much diversity that it can please most everyone. It is the perfect spot to travel to for romance, family vacations, adventure, history, culture, wonderful nightlife and theatre. Nalanda is situated 90 Km from Patna, Bihar and it represents the rich ancient legacy of knowledge in Bihar. It is among the most famous tourist attractions of Bihar. Tourists from all over the world and specially Budhhists come to this place throughout the year and it is their most favoured tourist destination. Once it was the most prestigious centre of learning in Asia. Nalanda is one of the world’s oldest living cities. It is the place where Budha had often stayed. 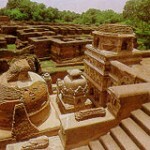 Nalanda is located in the eastern Indian state of Bihar. It is well known as the ancient centre of learning which has the remains of the great Nalanda University and several monasteries and temples. Both Lord Buddha and Mahavira visited this place and it remained a renowned learning centre till 12th century. Kings of Gupta, Kushan and Palva dynasties were the chief patrons of the centre, who built several monasteries and temples. The famous Chinese traveller Hieun Tsang studied here and his documents provide details about the university.The word ‘Nalanda’ has been derived from Na-Alam-Da, which means ‘insatiable in giving’, one of the names by which Lord Buddha was known. One of the major Buddhist pilgrimage sites, Nalanda is also known for the ruins of the world famous ancient learning centre. With the nearest habitation at the village of Bargaon, Nalanda is though now a deserted place, but still is very important to the history of Buddhism and Jainism (The Teerthankar Mahavira got moksha near Nalanda at Pawapuri). Hieun Tsang stayed here in the 7th century AD and he is the one who created the atmosphere for further studies in the region. He is the one who established the excellence of education system and practicing of monastic life. Among all the varied tourist attractions of India Rajasthan is perhaps the most sought after tourist place. Rajasthan is not only the largest state of India which is also known as the Land of Kings but is also most favored tourist destination. 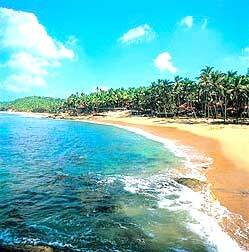 It provides excellent tourist facilities with tremendous opportunity of tourism. Rajasthan is very correctly known as the Royal State of India and it is quite unique and offbeat than other tourist destination of India and this makes it globally famous. The distinguished features of Rajasthan are its timeless monuments, palaces, royal charm, fairs, its rich culture and festivals. Tourists also get attracted to this state because of its wildlife tourism as the state has some of the world renowned national parks and sanctuaries. Thousands of tourists from all over the world come to Rajasthan to explore its enchanting tourism all the year round. The charm and tourist attractions of this state makes its tourists fall in love with the state and those who comes once to visit this state gets captivated by its attractions. In fact, it is India’s premium holiday destination with excellent accommodation facilities and lots of tourist attractions to explore.From the cackle of its colour-charged cities to the luminous splendour of its sun-kissed desert, Rajasthan is romantic India wrapped in gaudy royal robes. Here the fearsome Rajput warrior clans ruled with gilt-edged swords, plundered wealth and blood-thick chivalrous codes. Powered by WordPress | Web hosting coupons available on our host gator promotion blog.